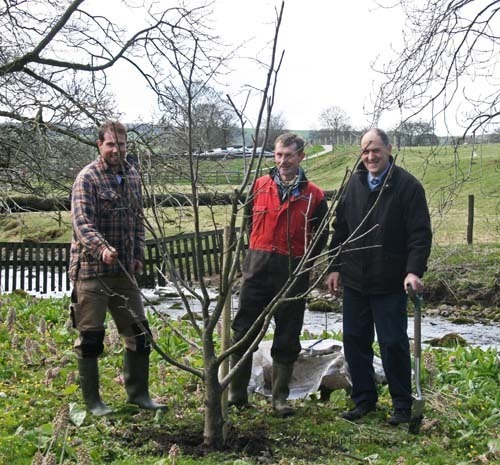 A lime tree was planted at Winterburn on Saturday, April 27, in memory of Jim Cunnington who had been chairman of the Association of Rural Communities. Alastair Dinsdale, the present chairman of ARC, told the villagers and friends who gathered near Rookery Farm in Winterburn that Mr Cunnington and his wife, Jenny, had been among the first to join the Association when it was formed. Mr Dinsdale paid tribute to Mr Cunnington’s constructive and moderating contribution to the Association. This continues to monitor the planning decisions of the Yorkshire Dales National Park Authority, acts as a watchdog, and seeks to encourage consistency in planning. All the committee members of the Association attended the event. Mrs Cunnington invited everyone back to her home afterwards for excellent refreshments. She was thanked at the end of the afternoon by ARC committee member, Stephen Butcher. 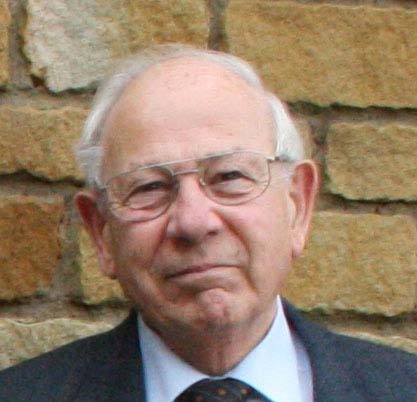 At the memorial service at Kirkby Malham church on August 3, 2010, Mr Cunnington was described as a “true gentleman”. The 100 or more people who attended the service heard how his strong sense of community had led him to serve those in the Dales in several ways since he moved to Winterburn in 1991. His son, Guy, said he was known for his kind, generous, optimistic, sunny nature. “He had the gift of making everyone’s day just a little better,” wrote his son Michael, who lives in New Zealand. They married in 1947 having met at a tennis club in Peterborough where Mr Cunnington was then serving an apprenticeship with Perkins after graduating from Cambridge University. He later moved from diesel engines and automatic transmissions to white goods which led to him joining Phillips in Halifax. At the memorial service Guy explained that his father was involved in the management buyout in 1986 to make sure that those working there did not lose their jobs. That buyout led to the creation of Crosslee and the White Knight brand of tumble driers. Mr Cunnington became the technical director and did not completely retire from the company until he was 70-years-old. By then the Cunningtons had bought a barn conversion in Winterburn near Skipton. The Rev Dilly Baker, who officiated at the memorial service, spoke of his faith, humour, wisdom, gentleness, and also his courage when he was dying from cancer. He was 79-years-old when he died on July 11, 2010. Below: Ian Coldicott, Mark Smith and Alastair Dinsdale after planting the tree.